We are Celebrating 40 Years In business with a series of events! 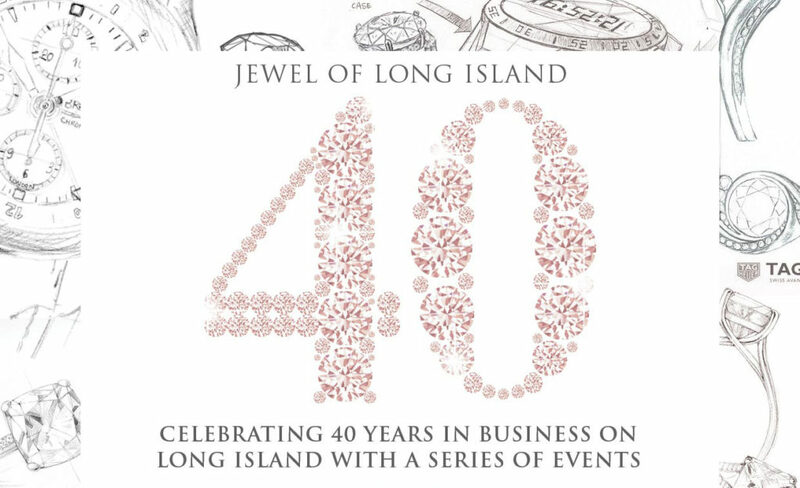 Maddaloni Jewelers has been the “Jewel of Long Island” for 40 years! Owner Louis Maddaloni accomplished his dream by founding Maddaloni Jewelers now known as the best long Island watch store. Long Island has supported Maddaloni Jewelers for 4 decades, whether its ear piercings for students and children, or planning a secret engagement ring or anniversary gift Long Island has trusted us, and we appreciate it. We created a series of events located at our flagship store maddaloni jewelers 1870 E. Jericho Tpke Huntington NY 11743. These are going to be amazing event on long island! This entry was posted in Events and tagged Event, Events.